Small steps are often overlooked in this speed crazy world where everything must be fast, needed now and the faster you achieve your goal the better. And you cannot really say slow is better and that some things take time in this age of speed. If you do, you are at risk being looked upon with scornful eyes. How you dare even suggest that, they say. Well, I am here to tell you to take small, steady steps. I am sure you want success fast. The faster the better, right? As I get older, I am not really sure if there is a finish line. Because if there is a finish line, what then? I tend to see career or life as a series of marathons now. So, take little steps instead of one giant leap. 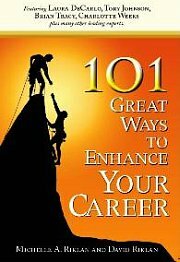 There is no such thing as a giant leap to career success. You must remember that distance can be covered by a series of small steps. It can also be covered by a flutter of fast paced sprints. But the difference is, if your finish line is finite - then well, you know the type of stamina you need in order to cover that distance. Do you? That is an important question. When I first started working, I did not know where I will be 17 years later. You may have a general idea but life takes you on many surprises. Do not be shocked this race you are participating in takes many forms and detours. I am in favor of small steps as it allows you to cover a greater distance while conserving energy and being able to enjoy the view at the same time! Sure, easier said than done. Patience some say is an over rated virtue. I am not sure I agree. You need lots of patience on your journey to career success. And if you buy into the small steps philosophy then you will need even more patience. Things take time to reveal themselves to you. Especially good things that appear bad initially. So long as you keep walking, there is no stopping you from where you want to go. The image of Forest Gump running comes to mind. Of course that is an exaggerated example but do imagine, if you take small steps and do not stop, how far can you go in the span of time you have? People who think about sprinting do not know that you can run out of stamina before the finish line reveals itself. Worst of all, the finish line they imagine for themselves is actually a mirage. Then what? When you take little steps, it is ok to take a detour. Such is life and such is work too since work is a big part of life. So, it’s ok to explore a little. Make wrong decisions and learn from it. Most times, what we like, what we are good at, and our talent does not reveal itself when we do the safe thing. It rears it’s head when we least expect it. It is also easier to navigate the road when you take little steps. Especially one that is filled with potholes, humps and uneven surface, which appears to never end. But it’s ok, because when you take small steps you begin to understand the character of these roads. You don’t. At best you have an inkling of what you want and you pursue it. The secret is so long as you take small steps, conserve your energy and be patient, eventually the finish line will be worthwhile. That is how it is; you make a decision and take a risk. Who knows where all your effort to plan, to act upon the plan will take you? But with small steps you know you will get there. For more articles on the topic related to small steps, click here.